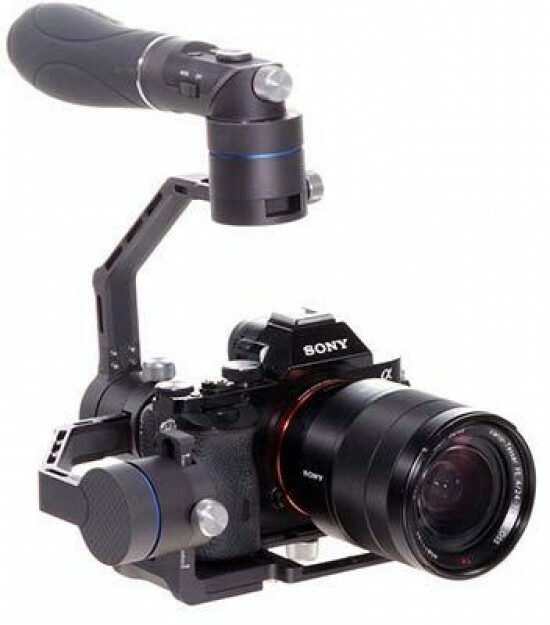 The Benro RedDog R1 is a 3-axis gimbal stabilizer with a unique swivel handle designed for different filming angles and compact for travel. The Benro R1 is currently available and will be sold for $399.00 USD. Benro announces the availability of the new RedDog R1 Stabilizer. The Benro RedDog R1 is a 3-axis gimbal stabilizer with a unique swivel handle designed for different filming angles and compact for travel. "The R1 has a great balance to it especially when using the swivel handle for waist height and low to the ground shots. It is much more comfortable to hold and operate for long shoots or multiple takes and we think that today’s filmmakers and content creators will love this unique feature" says Brian Hynes, Benro’s USA Brand Manager. Ideal for cameras up to 2.9 lbs, the R1 features CNC machining with an innovative design. It’s collapsible handle, makes it perfect for traveling light. The R1's ergonomic silicon grip provides comfortable handling at all times. By turning the button on the handle, you can quickly and easily convert your R1 from high angle to low angle mode, making it simple to track low moving objects, or achieve a low 360°shot comfortably by putting less strain on your wrist, and giving you incredible results. About Benro: Originally founded in 1996 as a cooperative tripod manufacturer, Benro developed and began marketing its own brand name - Benro Professional Tripods and Heads in 2002. Since that time Benro Precision Photography Industry Co. Ltd. has received numerous accolades and awards for product and design features. Benro continuously strives to develop lighter, stronger and more versatile products to meet the needs of the most demanding professional photographers and filmmakers. The Benro mission is simple: to design and build products that exceed the needs of demanding photographers and filmmakers worldwide. Benro (www.benrousa.com) products are exclusively distributed by MAC Group (www.MACgroupUS.com) in the USA.